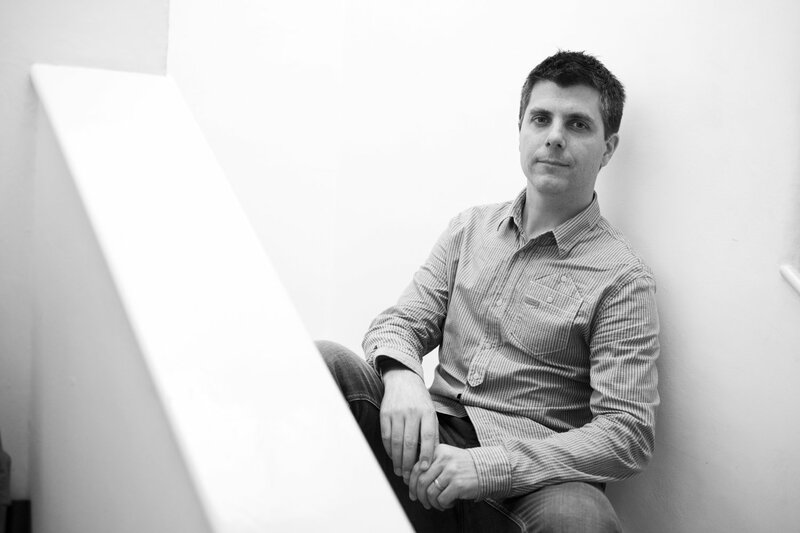 Have you ever wondered what makes successful businesses so effective? 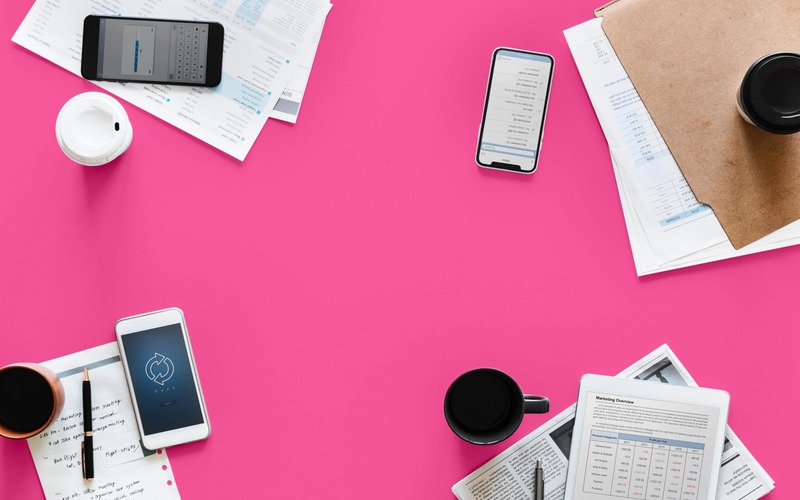 Sure, they have things like customer loyalty, incredible traffic, and fantastic brand awareness – but where do all those elements come from? Most of the time, customers gravitate towards and stick with brands that display specific values and beliefs. 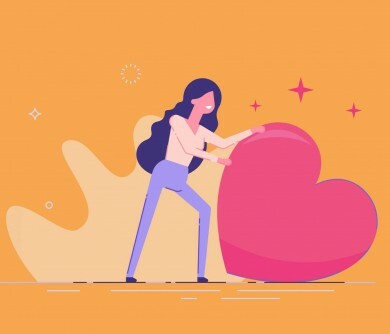 The best brands are those that combine logical, and emotional connections with their audience, to deliver the most complete consumer experience. 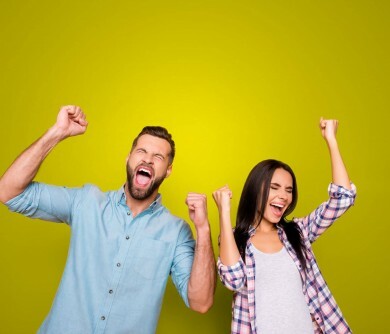 When you can successfully build a relationship with your customers, and your employees, many of them will be willing to stick with your company for as long as possible, even driving new profits your way with word of mouth marketing. Unfortunately, achieving a solid connection is no simple task. The organisations that prevail are often the ones that know how to stay true to their essential values over the years, creating businesses that customers and employees are proud to advocate for. 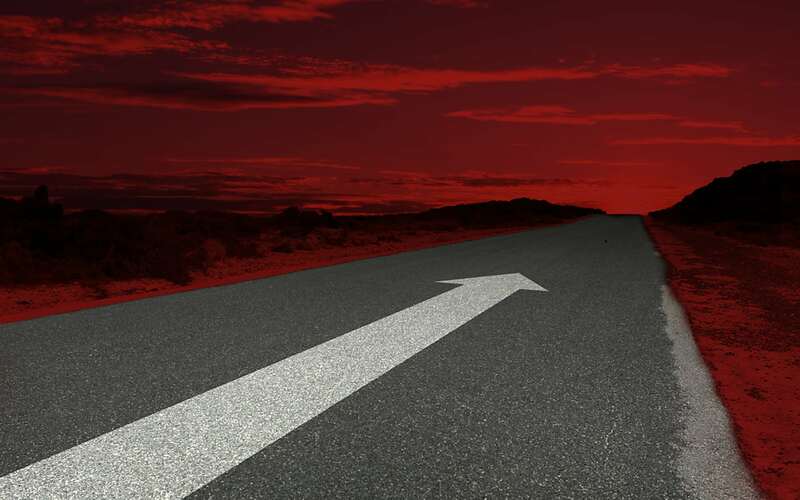 To keep you on the right path over the years, you’re going to need a solid concept of what you want to achieve as a business, and where you’re headed. That’s where your company mission statement comes in. A mission statement is a definition of your fundamental purpose, outlining the ‘what’ and ‘who’ of your venture. 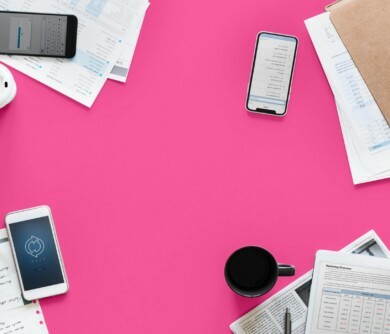 In this article, we’re going to answer the question “What is a mission statement, and why is it important to your brand?” We’re also going to give you an insight into some inspirational company mission statement examples so that you can start to build a more consistent, sustainable, and connected brand. Before you can even think about creating your own company mission statement, you need to make sure that your mission statement definition is accurate. A lot of people get confused between the ‘vision’ of their company and their mission statement. While a mission statement declares your organisational purpose to the world, combining with your brand values to outline why you exist, a vision statement describes where you want to be in the future. Because your company mission statement will highlight the function and objectives of your business, it will often inform your vision statement, and help you make important decisions about things like marketing, and how you should try to present yourself to your audience. 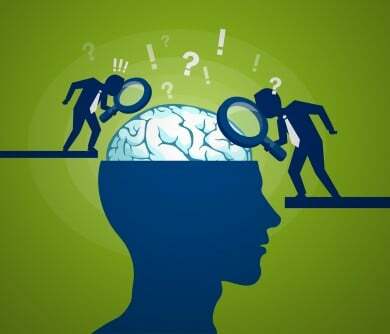 What beliefs or values guide your company? Which needs are you addressing for your audience? What do you hope to accomplish in the long-term? 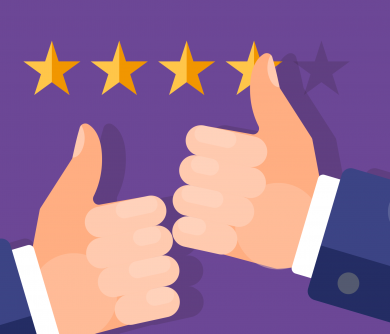 How can you inspire commitment from customers and employees? When you’re trying to grow brand awareness and recognition for the first time, it’s easy to lose track of where you’re headed as a company. With a mission statement in place, you can ensure that your entire organisation is on the right track, working towards the same goal. Your statement can even offer a framework that allows you to evaluate any upcoming opportunities, and determine whether they fit with your pre-existing strategies and business model. Working with a mission statement, your core philosophy can be outlined in a set of guiding principles that keep your company consistent, no matter how the marketplace might change. When you carefully evaluate your brand’s vision, purpose, and mission statement, you end up with a clear understanding of where your company is headed. 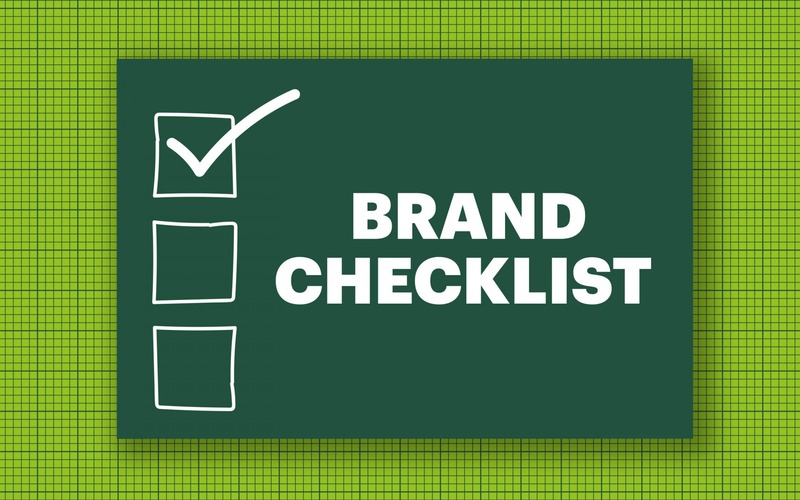 As your business continues to grow, you can regularly refer to your mission statement to reflect on where the brand was, and where you hope to end up, to ensure you don’t veer off track. Because all your employees are on the same road to success, this can also help to improve company culture, uniting team members in a shared goal. Finally, a mission statement can set important boundaries that help you to make necessary developments in your company. You don’t need to be considering a company refresh or rebrand before you open yourself up to change. Most organisations will need to make slight alterations to their marketing efforts and design choices as time progresses, to meet the changing needs and preferences of their audience. When you’re clear on your mission, evolution can be less of a risky experience. You’ll have a framework to keep you focused, and a specific trajectory that propels you towards your ultimate vision. 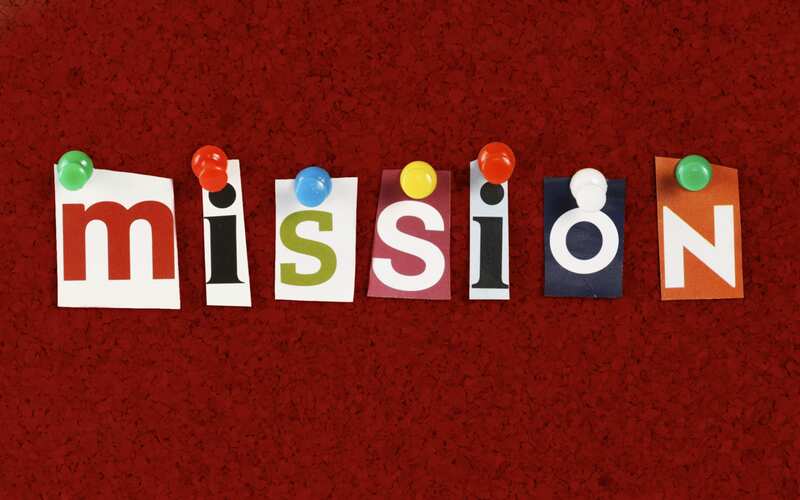 Combined with your vision statement, a company mission statement is what sets your path for success. 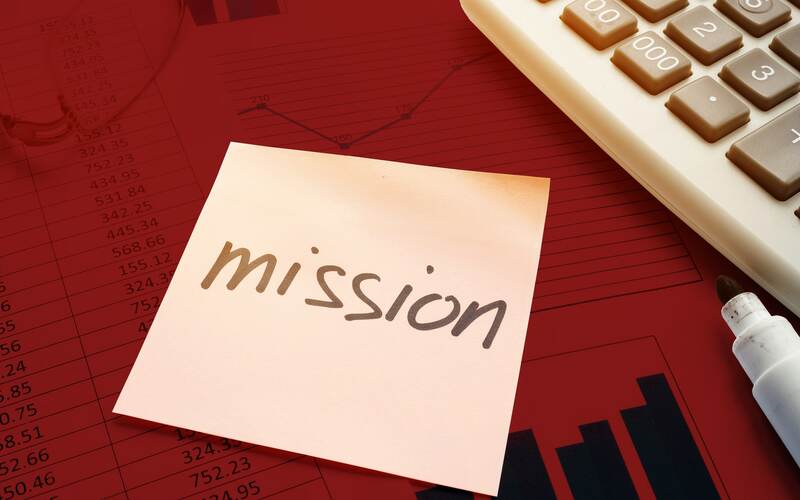 Your mission statement definition will help you to define your goals as a professional organisation in three distinct ways, looking at what your business does for your customers, employees, and owners. Which problems can your business solve? What do you do, and why are you doing it? What market do you serve, and what are your unique benefits? Do you want to make a profit or a difference? What are your financial goals for the business? What kind of working situation should your employees expect? How do you plan to ensure strong internal communication? Your answers to these questions will form the main points of your mission statement, although you can obviously expand upon each question to build stronger resonance with your customers. 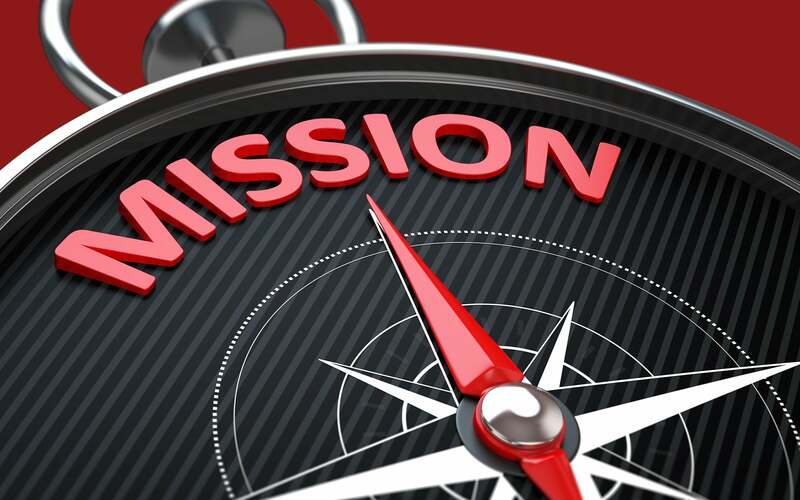 In this particular article, we won’t be discussing how to create an effective mission statement but offering insight into why you should be using a mission statement in the first place. Substance: The best mission statement example will include a down-to-earth description of what your business can offer the world. Stay away from fluff and buzzwords. Focus: When looking for examples of a mission statement that might inspire your own creation, make sure you search for something clear and focused. 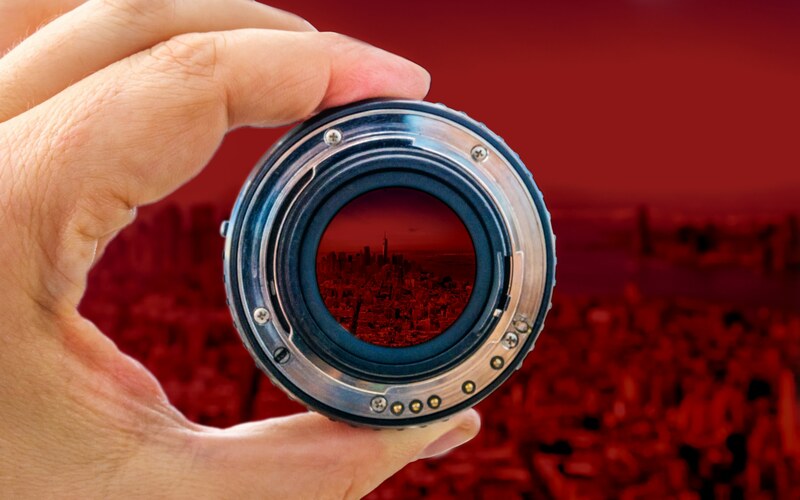 The best company mission statement will have a precise focus. Don’t try to be a ‘jack of all trades’. Emotional appeal: The best mission statement example will include a strong emotional appeal. Rather than taking a bland or boring approach to business, the best companies look at how they can connect with their audience. For instance, look at Nike’s goal to bring innovation and inspiration to the world’s athletes. Longevity: Finally, a good example of a mission statement is one that can work for as long as possible. Mission statements should be enduring, built to last throughout the changes in an industry, but also flexible enough to change as your business evolves. If you’re looking for inspiration to help you guide your own mission statement definition, make sure you look for examples from businesses with longevity. Usually, the easiest way to start your search for the ideal company mission statement is to begin looking at other companies who have already achieved success with their own statements. At Fabrik, we often recommend that our clients look at examples of a mission statement by other people in their industry, to help them decide on the direction they want to take with their own brand-building exercises. Using mission statement examples to inspire your company might feel like cheating, but it’s often a much better option than simply writing something vague and generic because you feel obliged to fill a space in your brand manifesto. When you’re inspired to write a mission statement with real purpose, you can use the result to inspire life-long loyalty in your customers and your staff. With that in mind, here are just some great mission statements to get you started. 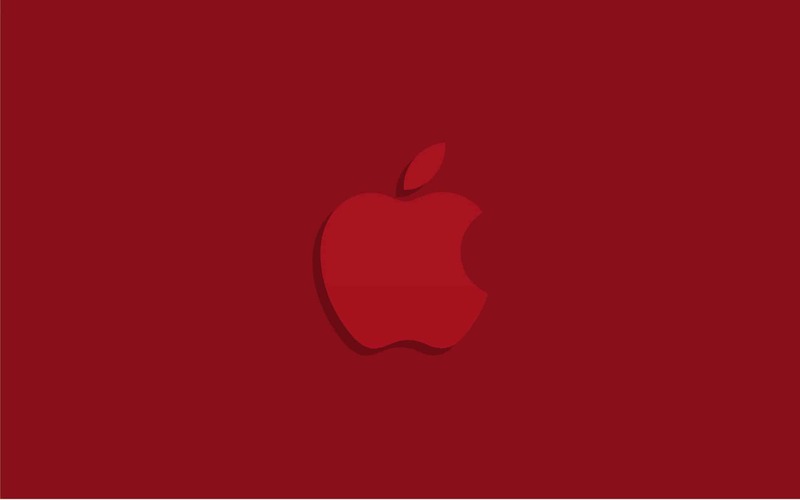 Unfortunately, as innovative as Apple might be as a brand, the company has seen some criticism over the years, after Steve Jobs passed away a few years ago. One of the less appealing changes that the brand has made, has been to its mission statement, which is now far more clunky, and less insightful. It reads like a list of things that Apple can do, rather than an overall definition of the company. When it comes to keeping the company mission statement short and sweet, Tesco hit a little closer to the mark. The Tesco mission statement identifies the company’s approach to both the environment, and the community they work within. “Creating value for customers to earn their lifetime loyalty”. 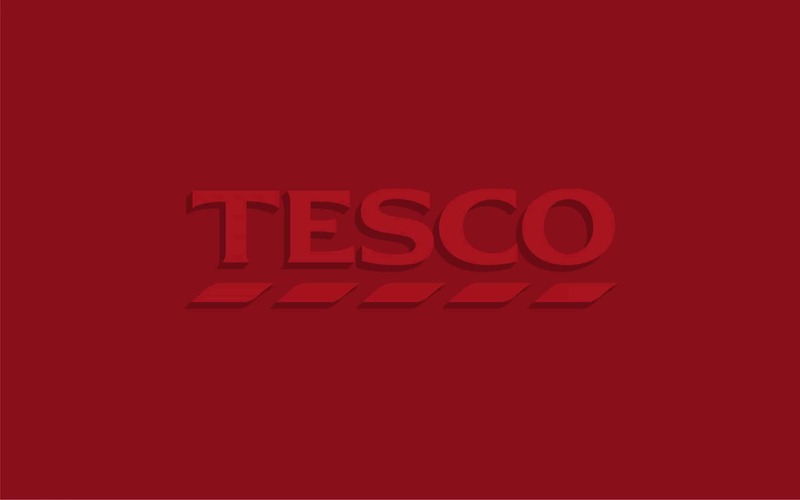 Tesco’s mission statement is simple and to the point, emphasising the value that the business places on the relationships it has with its audience. With this statement, Tesco lets their customers know exactly what to expect from them as a brand, while also showing potential employers what they might be striving for if they work with Tesco. If you’re looking for an inspirational brand, then most of the time, you won’t need to look any further than Google. Over the years, the company has proven itself to be an exceptional branding icon, capable of establishing affinity with audience members. The Google mission statement is “To organise the world’s information and make it universally accessible and useful”. In other words, Google is all about giving people the access to the information they need, when they need it most. 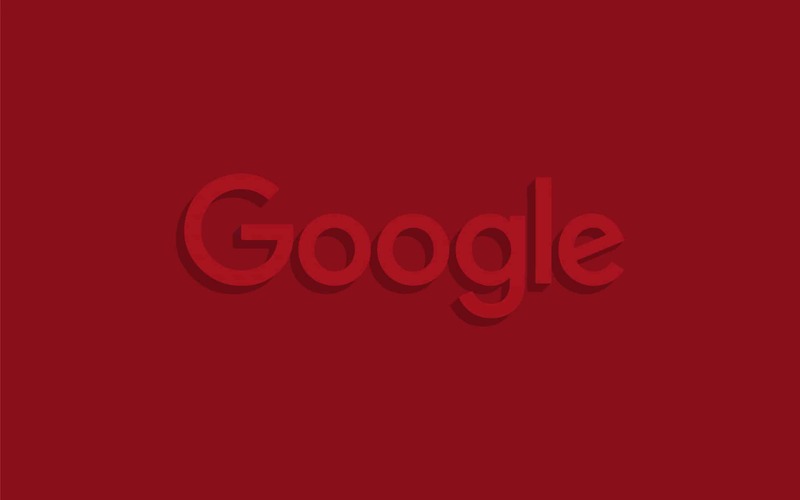 That specific statement has driven Google forward in all the changes that it’s made over the years, to things like its search engine algorithms for ranking content, to its decision to invest in smart technology for phones and data processing. Nike is frequently commended as an inspirational brand. For an example of a mission statement with emotional value, it’s one of the best options in the market today. The Nike mission statement is “To bring inspiration and innovation to every athlete in the world.” Importantly, the company goes on to identify that in their belief, everybody is an athlete, because they have the potential to accomplish great things with their body. As an innovator in the world of sports and health equipment, Nike uses their mission statement to help them inspire people towards changing their mindset and their approach to fitness. 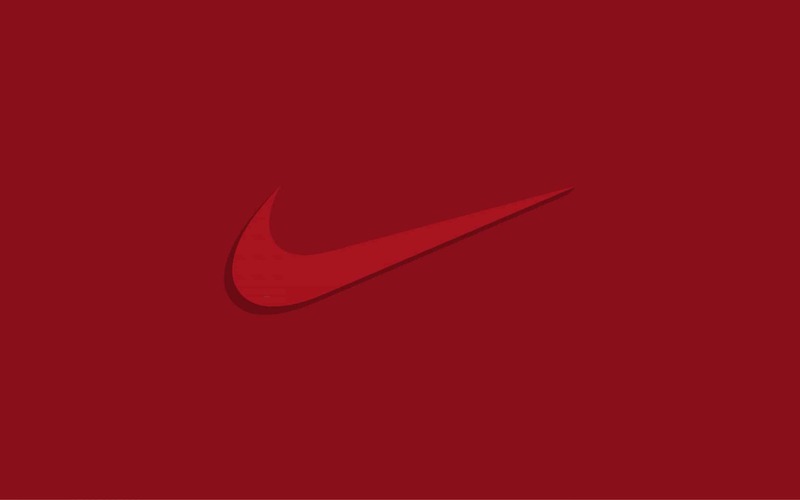 The company slogan “Just Do It” blends perfectly with the brand’s overall goal, and their desire to connect with every athlete in the world. Amazon’s statement is a great example of a mission statement that focuses on putting the customer first. 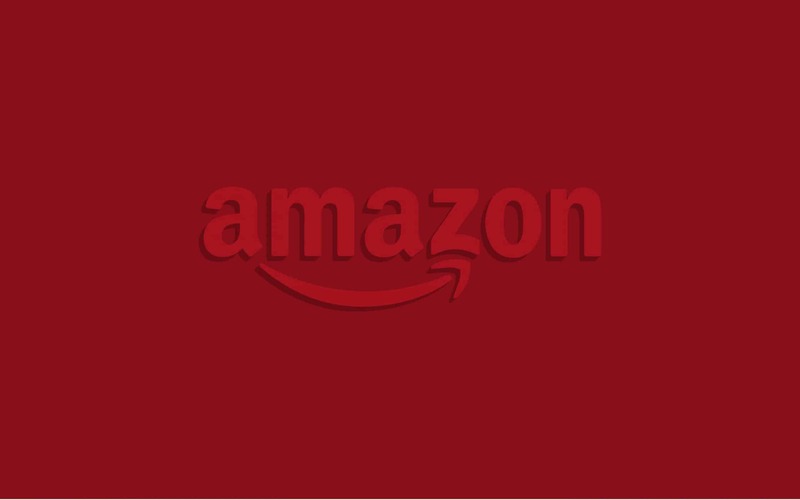 Ever since the company initially began, Amazon has been devoted to the idea of delivering simple, convenient access to a range of products. Part of the reason why Amazon has become such a world-leader in terms of retail is the fact that it’s remained so true to its mission and values over the years. Amazon’s mission statement is: “To build a place where people can come together to find and discover anything they might want to buy online.” Over the years, this statement has prompted Amazon to deliver new and improved ranges of products to their marketplace, while also introducing new delivery solutions for convenience too! British Airways are the largest national transport company in the UK. Headquartered in London, they have a huge presence around the country, and also deal in worldwide air cargo too. 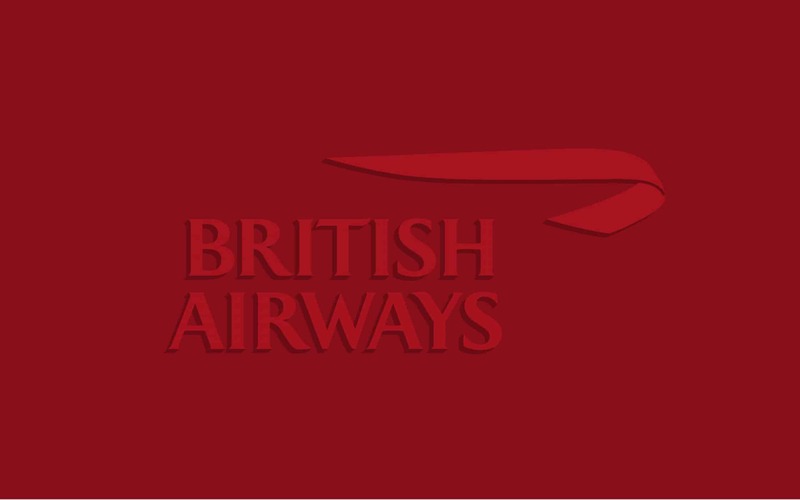 As one of the most extensive international airline networks in the world, British Airways have used their mission statement to help them provide their customers and clients with a consistent experience throughout the years. The British Airways Mission statement is to “Ensure that our customers fly with confidence” In other words, BA wants to make sure that you feel empowered and safe when you’re flying with them. They also hope that their efforts towards this goal will make them one of the most responsible, and admired airline companies in the world. The BBC has long been known as a source of fantastic entertainment for people across the UK. Their mission statement is simple: “To enrich people’s lives with programmes and services that inform, educate, and entertain”. 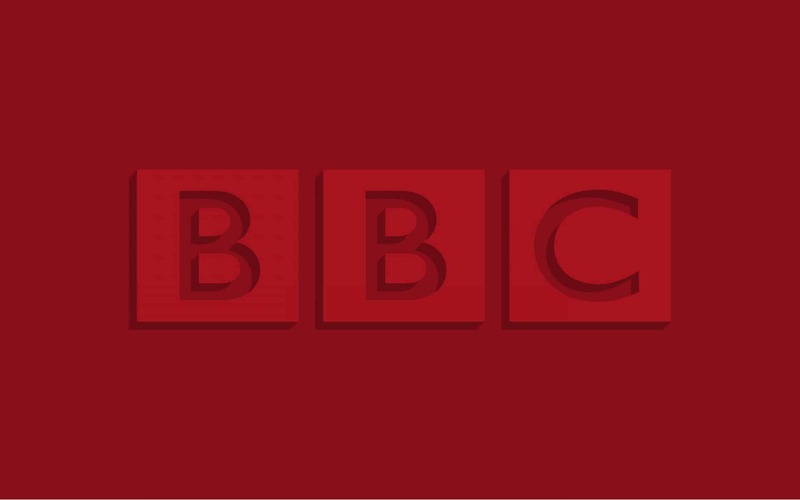 The mission statement of the BBC is what the company has used over the years to make sure that they always make informed decisions about which programmes to show across their networks. The business wants to keep their customers at the heart of their organisation, which is why they place boundaries around their creative choices to avoid making any decisions that might upset or offend the British public. 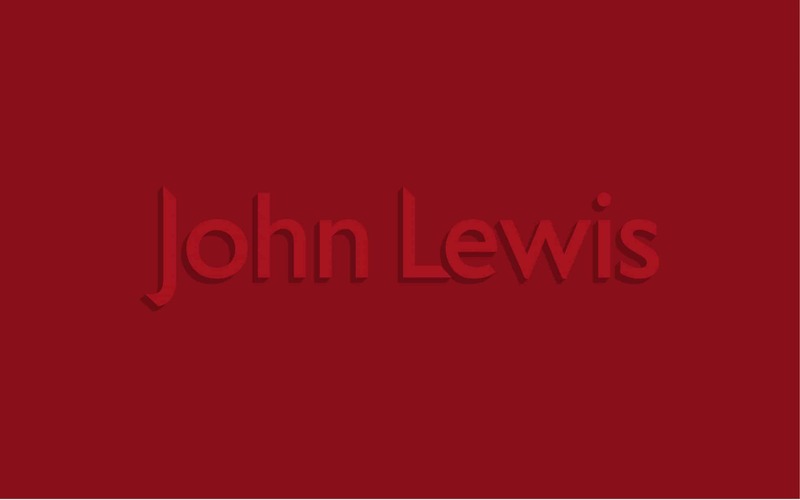 John Lewis is one of the UK’s favourite brands, thanks in part to their overall dedication to creating happiness for their partner network, by focusing on employee satisfaction. John Lewis believes that happy employees lead to happier customers, and they’re proving the value of this belief in everything they do. John Lewis’s mission statement suggests that the company want to be a “Thriving example of employee ownership”. In other words, they’re focused on treating their employees with care and respect. This process has helped John Lewis to develop a name for themselves across the globe, not just for their great products, but their healthy corporate culture too. 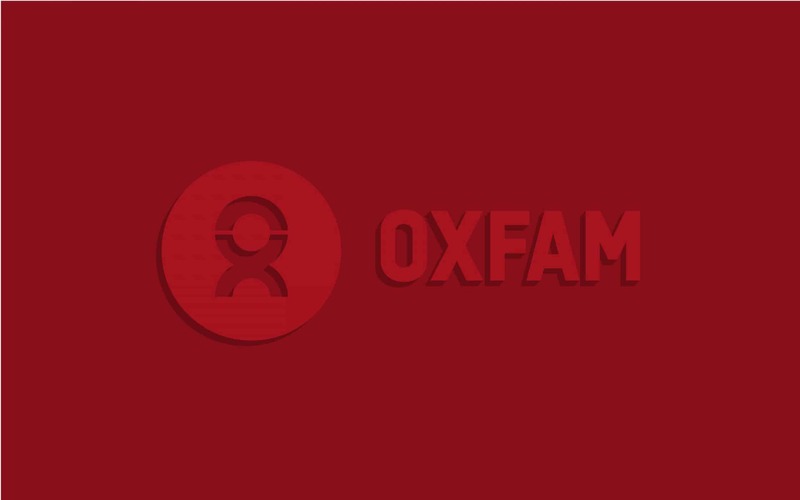 To better accomplish their goals, Oxfam has begun a global movement that empowers people to take action against some of the most common problems in society, including poverty. Everything that Oxfam do, is in pursuit of a better world. As you may have learned from the examples above, a mission statement is a critical component in defining the purpose of your brand. 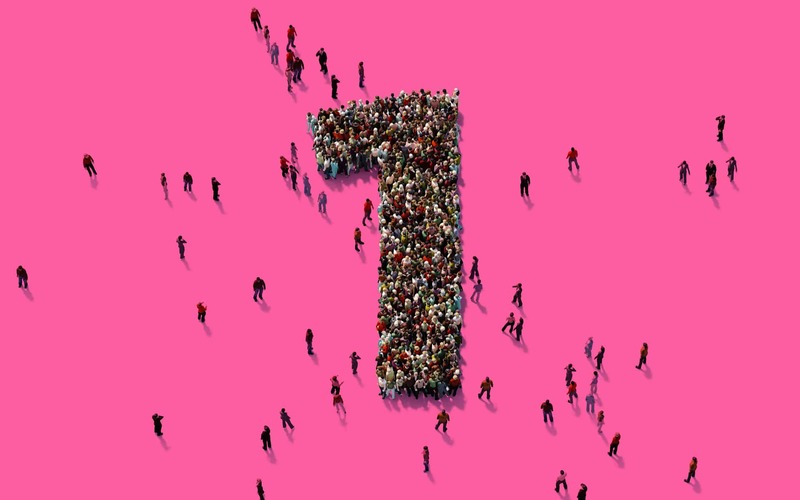 It goes beyond things like online presence, and marketing campaigns, and addresses why your customers and employees should want to feel connected to your organisation. No matter what your business hopes to offer or achieve, your mission statement is the rallying cry for people to come together and join you in the pursuit of something greater. Because of this, mission statements are an essential way of making sure that all of the different functions of a company focus towards a single cohesive goal while helping you to show your value to the world. When you’re facing difficult decisions about how you should market yourself, or what kind of tone of voice you should use online, you can return to your mission statement as a way of justifying your choices. Unfortunately, it’s easy to get a company mission statement wrong. There are many statements out there that come across as lengthy, vague, and boring. In fact, some companies don’t even have a mission statement, to begin with. However, if you can bring your stakeholders and company team members together to create an idea for the future that centres around a strong vision, and a powerful mission, you can give your brand the power it needs to thrive. Your mission statement could help you to build and transform your company over the years, making important choices on your behalf, and keeping your community focused in times of peril. 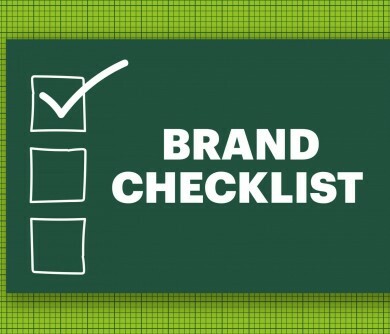 Of course, like many things in the world of branding, your mission statement isn’t static. As your company evolves over time, your intent, and therefore your mission, might change with it. The important thing to remember is that while the underlying values of your company should remain consistent, your mission statement may need to be fine-tuned over the years. Fab examples here! Mission statements are absolutely crucial in guiding your every business move. As long as you create the initial statement that has been given the adequate amount of research, care, time, respect and thought, you should really use it when making any business decision from responses on social media to press release, new staff recruits to expansion plans. 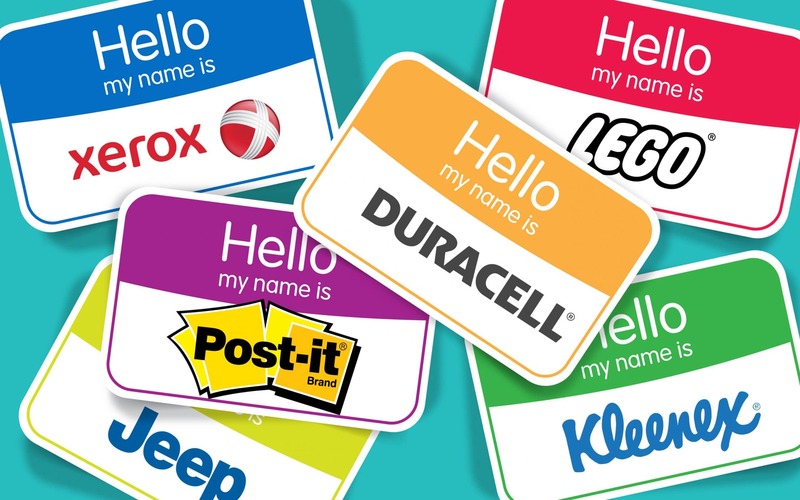 All of the above examples demonstrate how well these brands have executed their mission statements fabulously. Some brands, particularly smaller brands, can become very gung-ho about their approach to a mission statement, or not do one at all. Their approach will change and zig zag which can lead to inconsistencies and loss of vision for the future as well as values. It’s so important to have a mission statement and stick to it to ensure that your brand follows the path set out for it despite issues that may crop up and changes that will happen.